Audit360 is India’s first Mobility-Based Audit Management Solution and Asia's first Audit Management Solution specially-made for NBFCs and Microfinance Companies. The platform enables real-time reports, and has the unique "Digital Evidence" in the form of Image, Video and Audio and Geo-tagging which all function even in off-line mode. Audit360 comes with a responsive dashboard which provides real-time insights for Audit reports and allows on-screen analytics. It covers the entire audit cycle from managing checkpoints, scheduling, tracking issues, reporting, and annexures. This results in fast reporting, time-saving, and 100% objective scoring. Suitable for any type of audit, the Audit360 application is a Pioneering and Futuristic Solution that helps organisations to Re-imagine Audits! Ongo is the brand name for Ronoc Myanmar Limited and is the leading B2B digital payment service provider in Myanmar. Ongo operates in 55 Myanmar cities with over 1,000 Ongo agent employees providing digital payment services to over 100 corporate clients, 26,000 merchants and 430,000 consumer users. 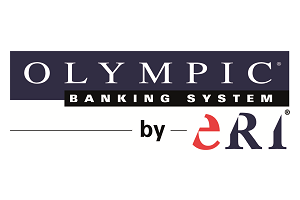 With its licensing partner Myanmar Oriental Bank (MOB), Ongo App Users can use their smartphone to Cash-in (convert their cash into E-money) and Cash-out at hundreds of Cash Agent locations across Myanmar. Ongo's goal is to promote financial inclusion in a safe, simple and convenient fashion. 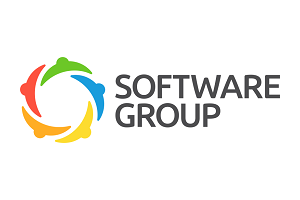 Software Group is a global technology company specialized in digital channel and integration solutions for institutions that provide financial services. Founded in 2009 and headquartered in Sofia, Bulgaria, it currently serves a worldwide client base in more than 65 countries from 9 regional offices located in Australia, Bulgaria, Egypt, Ghana, India, Kenya, Mexico, the Philippines and the USA. The company’s vision is to accelerate financial inclusion by creating cutting-edge technology solutions. Some of Software Group’s customers are organizations such as Bill & Melinda Gates Foundation, International Finance Corporation (IFC), Asian Development Bank, Asian Confederation of Credit Unions (ACCU), Financial Sector Deepening (FSD), 7 of the top 10 Microfinance networks (Finca, OI, VFI, Accion, Hope International, Microcred, ReAll), Bank South Pacific, National Bank of Vanuatu, Fullerton Financial Services Holding, Fidelity Bank Ghana, LAPO Nigeria, Access Holding, Grameen Koota Financial Services etc. US-based ControlCase is a global provider of enterprise software, professional services, managed services, compliance as a service and hosted solutions. The company's offerings enable its clients to effectively manage their IT Governance, Risk Management and Compliance Management (IT GRCM or GRC) efforts. ControlCase has over 500 Clients including over 60 Banks for PCI DSS, having certified more than 30 Banks. 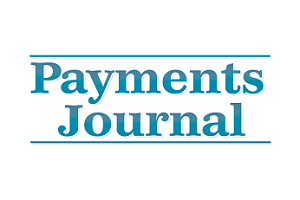 The company has over 25 QSAs and 60 Consultants who are experienced with PCI DSS assignments. The company has also been involved with PCI assignments for merchants including Carrefour, SM Group Philippines, Shoppers Stop and others. ControlCase, the global leader in managed compliance, has successfully assisted hundreds of clients worldwide in becoming compliant with various security standards and regulations in a cost-effective and optimal manner. From PCI to SOX to GLBA, ControlCase has assisted clients in meeting their compliance and security objectives in a timely and cost-effective manner. True Corporation Plc, subsidiary of C.P. Group, is Thailand’s convergence lifestyle leader, offering an unrivalled selection of integrated communications services and solutions. True Group, one of Thailand’s strongest and most recognizable brands, is the only fully-integrated, nationwide telecom operator providing services to over 29 million subscribers. Ascend Group is a spin-off subsidiary of C.P. 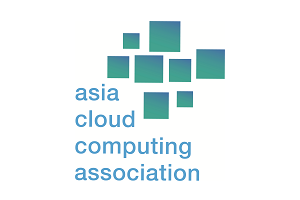 Group and True Corporation focusing on online businesses in South East Asia. Our mission is to redefine the paradigm of all aspects of life with business technologies and digital services platforms. We would like to introduce you to TrueMoney, one of the first companies under the Ascend Group entering Myanmar. TrueMoney is the new payment solution with multiple services tailored to the needs for the community. TrueMoney Myanmar aims to provide the Myanmar Community with the financial services to improve the business as well as the ecosystem of the country. 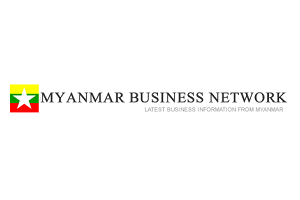 TrueMoney Myanmar is now available in lower Myanmar and is continuing to expend the agent network as well as the partners throughout the country. Security, Convenience, Ease of use, Lower Costs and Accessibility are the core values TrueMoney Myanmar would like to provide to the customers. Telenor Myanmar has been providing accessible and affordable mobile communications to people across Myanmar since September 2014 and now offers a data network with the widest coverage and best user experience in the country. With more than 8,600 sites nationwide, Telenor serves 18 million customers in all States and Regions through its 2G, 3G and 4G network. Telenor Myanmar is part of Telenor Group, which was found in 1855 with over a 160 years of telecom experience. Telenor is one of the world's major mobile operators with more than 174 million subscriptions and committed to responsible business conduct and driven by the ambition of empowering societies. 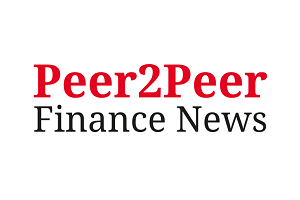 The 10th Mobile Money & Financial Inclusion Summit 2019 presents a unique opportunity for your organisation to be showcased as an important player in the Emerging Markets/Greater Mekong Subregion's (GMS) financial and telecommunications and technology ecosystem. Showcase your expertise and products through our customised exhibition and sponsorship packages which will reinforce your corporate branding and thought leadership position in the industry amongst finance and telecommunications regulators, investors and stakeholders who are already establishing the necessary mobile payments infrastructure in their respective countries. Sponsorship is a strategic and cost-effective way of reaching out to these key decision makers, allowing you to forge relationship and raise your company profile in this subregion.